朝鲜半岛上的空军转型 - 《空天力量》杂志 - 知远防务论坛 ----学术性|资料性|研讨性！ - Powered by Discuz! 有关美国国防部长和韩国国防部长会谈的详情，参见美国国防部长致驻韩美军司令官的备忘录，主题：US Forces Korea Transformation Guidance [驻韩美军转型指导意见], 4 July 2007. 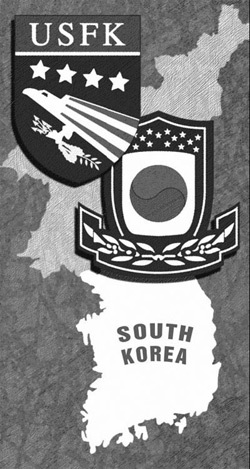 Joint Publication (JP) 0-2, Unified Action Armed Forces (UNAAF), 10 July 2001, chap. 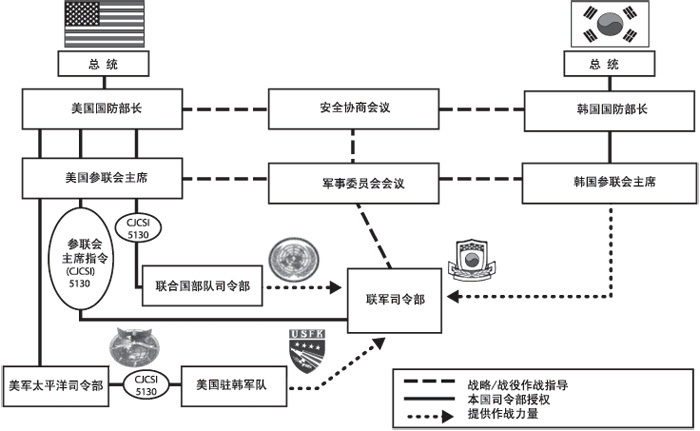 3, “Doctrine and Policy for Joint Command and Control” [联合作战准则 JP 0-2：联合行动武装部队（UNAAF）中第 3 章“联合指挥与控制的准则和政策”], http://www.dtic.mil/doctrine/jel/new_pubs/jp0_2.pdf; and JP 3-16, Multinational Operations, 7 March 2007, http://www.dtic.mil/doctrine/jel/new_pubs/jp3_16.pdf. 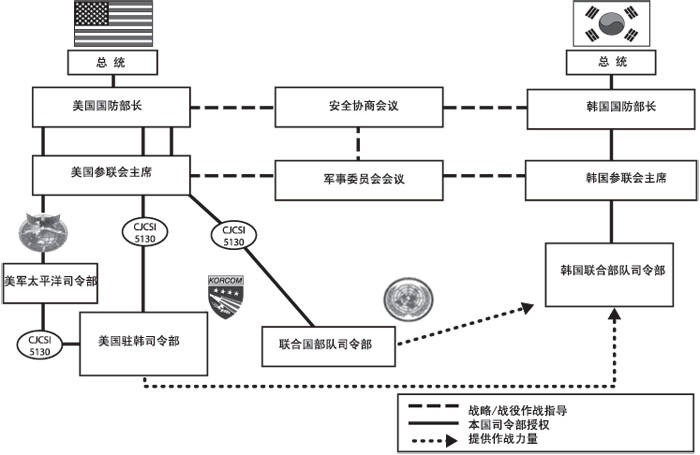 2006 Defense White Paper [韩国 2006 年国防白皮书], (Republic of Korea: Ministry of Defense, 17 May 2007), http://www.mnd.go.kr/mndEng/DefensePolicy/Whitepaper/index.jsp. 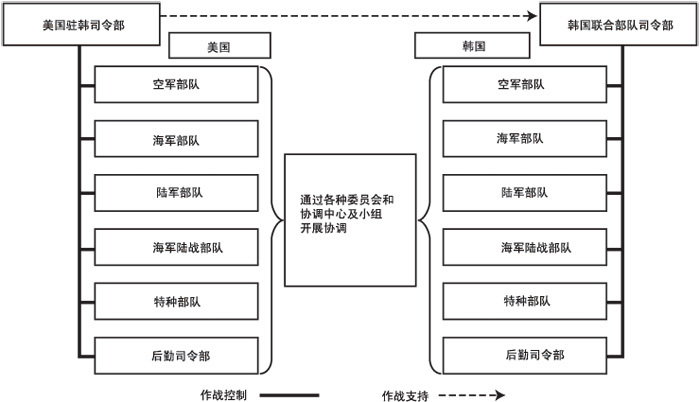 有关 ACCE 结构的详细资料，参见 Air Force Doctrine Center Handbook (AFDCH) 10-1, The Air and Space Commander’s Handbook for the Joint Force Air Component Commander [空军准则中心手册 10-1：联军航空部队司令官使用的天空和太空部队司令官手册], 27 June 2005. Chin Tae-ung, “Defense Ministry Seeks 20 Percent Hike in Purchase” [国防部寻求采购支出提高 20%], World News Connection, 30 May 2007, 1. Lee Chi-dong, “Seoul’s Plan to Buy More F-15K Jets Remain Despite F-15 Grounding” [F-15 停止飞行并未使首尔放弃购买更多 F-15K 飞机的计划], World News Connection, 8 November 2007, 1. “Boeing Holds E-X Conference in S. Korea” [波音在南韩召开 E-X 会议], UPI Security Industry—Briefs, 6 November 2007, 1.